Published: Oct. 21, 2014 at 04:42 p.m. Updated: Oct. 22, 2014 at 09:06 a.m. The New England Patriots have acquired some help for their banged-up defense. The Patriots announced Wednesday they traded for Tennessee Titans linebacker Akeem Ayers. New England released 'backer Ja'Gared Davis is a corresponding move. 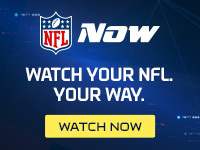 NFL Media Insider Ian Rapoport reported, according to a source informed of the deal, that New England will send their sixth-round pick to Tennessee for Ayers and the Titans' seventh-rounder. The former second-round pick has been active for just two games this season. He struggled last season with just 49 tackles and a sack after going for 104 tackles and six sacks in 2012. The 25-year-old underwent two separate knee operations in the offseason -- the knee injuries contributed to his struggles last season. There was a thought that Ayers would fit better in new defensive coordinator Ray Horton's 3-4 scheme; however, it never happened. Ayers has mostly been a healthy scratch and has played just 10 snaps in 2014. The Pats are desperate for help at the linebacker position after losing Jerod Mayo for the season. New England was ripped apart last week on the ground in a close home victory over the New York Jets. Having played in both a 3-4 and 4-3 scheme, Ayers could provide the versatility that Bill Belichick likes in his linebackers.